Even if you are an experienced gym goer, for your own safety, you must please view our Kiss Welcome Video before visiting for the first time. Our 24 hour access system and safety procedures are peculiar to Kiss, so extremely important you are familiar with these before visiting. The Induction sessions last around half an hour and are scheduled at 1pm, 6pm and 6:30pm Mon - Fri and 1pm at the Weekends (but just grab a staff member if these times aren't convenient and they will be happy to give you an induction if they are free. 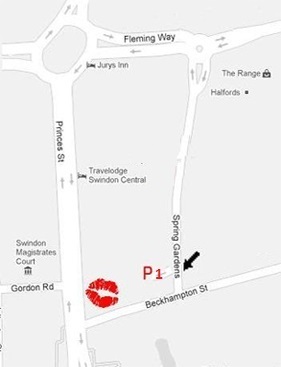 Note: Please note CLAMPING is in operation at Swindon underground parking, so please read carefully! Drive up to gate and it should recognise your number plate and open, same for exit, although there is an override exit button if you have problems leaving. Note: Please note TICKETING is in operation at Acton car park, so please read carefully! Security should stop you first time of entering (if no bumper or window sticker displayed) to check your plate against master list. During your first visit, ask Kiss staff for bumper sticker/window sticker and you will be waved through security each time. Park in spaces immediately surrounding the main gym building, avoid any marked as business owners.